Welcome to 13019 Addington Drive in Dewitt, MI. This well maintained two story home is move in ready and has an open floor plan that is ideal for entertaining family and friends. Feel the serenity of the backyard! Wooded views, wildlife, and coy pond create a peaceful setting. As you enter the home you’ll notice the gleaming three quarter inch wide solid plank oak floors in the foyer and continuing onto the kitchen, and family room. Kitchen has custom cabinetry, granite counter-tops, and high end appliances. Other desirable features include: formal dining room, formal living room, spacious family room with a brick gas fireplace, and a slider out to the multi-tiered deck, which is great for get togethers and more. This home has a first floor laundry, half bath on the main level, and a full finished lower level that has an additional office area as well as a 23×11 storage area. The second level features the master suite, another full bath and two additional large bedrooms. The master bedroom, bath combo offers a tub shower combo and large 6×9.9 walk in closet. 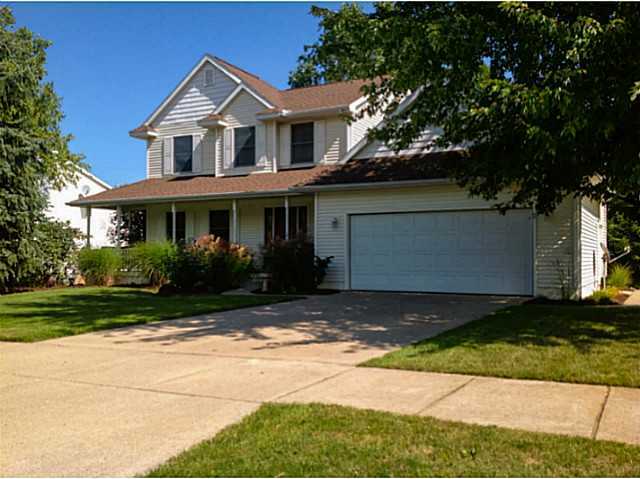 This beautiful home has an upgraded oak trim package throughout, professional landscaping, and more. For additional information and photos click here! Posted on September 20, 2013, in All Other Listings. Bookmark the permalink. Leave a comment.